Anyone who is involved in any way with marketing is likely to have heard of the Boston Matrix, and even Joe Public has probably come across the term 'cash cows'. Possibly one of the most well-known marketing models, The Boston Matrix was created by Bruce D. Henderson for the Boston Consulting Group in 1970 to help corporations analyse their product lines. Also known as the Growth-Share Matrix, it categorises a portfolio of products in a way that helps strategic decision making. Typically it is used to make hard decisions about investment – which products/services to drop and which to invest in to achieve maximum growth. It’s a relatively simple model that is not without its flaws, but essentially it plots a product or service against market share and market growth. A product or service that enjoys a high market share in fast-growing market is said to be a Star – as against a Dog which is a product or service with a low market share and low, no, or even negative growth. Cash Cows are products or services with a high market share in a low growth rate market and Question Marks (sometimes known as Problem Children) are products or services in a high growth rate market but with little market share. From an investment point of view, Dogs should be killed off, and Cash Cows should be milked. Stars may need high investment to keep their place – but should be high earners, and Question Marks are products or services that require further analysis and discussion – eventually, they will either need more investment or be withdrawn from the market. But you can also use the Boston Matrix for marketing strategy as the position of a product or service within the matrix determines the marketing approach. Let’s start with Dogs. If you have a product or service that you have concluded – following an analysis based on the Boston Matrix – is a dog, then you should work towards removing this from your product or service offerings. It will be consuming money and resources that would be better employed in supporting a profitable product or service. You might think that this implies that you carry out no marketing for this product, but what you might consider is marketing aimed at moving any existing customers over to another of your products or services. So you should create content marketing that compares the two offerings and points out the advantages of the profitable product over the dog, that shows how easy it is to switch and points out the benefits of doing so. Review all existing content and revise or remove to support the withdrawal of the product or service and the promotion of alternatives. Cows are products or services that well established in the market and are making money without drama. From an investment point of view, they are maintained using the minimum amount of resources, and the maximum amount of profit is extracted from them. This profit, in turn, helps to fund the development of Problem Children or to support the rise of stars. So in theory at least, you need only do the minimum possible amount of marketing. Because Cash Cows tend to be stable, you can predict cash flows and work out budgets reasonably reliably – allowing you also to determine the marketing budget. There is a very real danger here that they become good, reliable earners that you start to forget about, you take for granted. And if we know anything about modern market conditions, it is that you can never take anything for granted. So while it is good to keep marketing costs low, review the situation regularly to determine whether you need to boost the cow’s position in the market or fight off a new competitor. Never forget that it is these cows that provide the money for investment – for future products or services. Cash cows should be supported by content marketing that underpins their dominant position in the market; case studies are very powerful here and should be easy to source. Surveys and data showing the success of the cow are also great supportive marketing. With cows you have less of a need to produce content that increases awareness or establishes authority – it is also likely that this content still exists from the early days of the product or service, so simple updating of that content is all that is needed here. Cash cows, despite best efforts and suitable marketing, can eventually descend into dogs – so look out for that when reviewing and don’t let misplaced loyalty to a long-serving product stop you from making the difficult decision to retire it. As rising stars are potential high earners for the business – eventually become cash cows, they should rightly become the primary focus of your marketing efforts. If you don’t have any stars in your product or service portfolio, then the future of your business is in question. To help boost their rise, a serious, committed level of marketing is required. This means a range of content marketing across the board; establishing awareness and authority, informing and explaining, case studies and testimonials. If it is a radical new product or service, or perhaps in a new market, then you will need overviews and explainer content that lays out the situation and the issues the product or service addresses. It’s a strategy and implementation that is aimed at boosting market awareness and market share, as rapidly and forcefully as possible. Because question marks are just that – in question – the bigger issue of what to do with them should be resolved before deciding on any marketing strategy. They will be consuming high levels of investment but making little headway in the market. Generally, if the market is growing rapidly, you have to ask why isn’t your product or service? If you have just launched the product or service it is likely to fall into this category – so persevere with your marketing and investment – treat it like a star until the initial launch period is over. If after all the effort to establish the product or service you have still made little impact, that is the point to pause and review. With question marks, the main priority is to figure out why they are not succeeding. Competitor analysis can help you figure out what they are doing right and you are getting wrong. Market analysis can help you understand the market better – do you have a mismatch between your product or service and the target market? Even talking to the customers you do have can provide valuable insights into the issues facing your question mark. Once you have worked out where the problems lie and what course of action to take, then you can formulate the appropriate marketing strategy. Unless, of course, your unfortunate conclusion from the review is that you need to withdraw the product or service altogether. The Boston or Growth-Share Matrix can be a useful tool for reviewing your products and services and deciding on levels of investment and marketing support. But it does have a few weaknesses that you should be aware of if you intend to use it for those purposes. The model uses market growth as the only measure of a market’s attractiveness and market share as the only factor in competitive advantage. There are many other factors you may want to consider when launching or reviewing a product or service. It assumes that all products and services stand alone and are not related – the reality is often more complex, with some underperforming products or services actually supporting or essential to the well-being of others. This may even be a strategic decision, with a lesser offering deliberately placed in the market to push customers to your more expensive premium solution. The definition of the market is crucial. You can have a high market share if you base your analysis on a niche market, or a low market share if you look at a wider market. This can easily make the difference between a product or service being a dog or a cash cow. Product and service life cycles also have a major impact – over time any product or service or service is like to move around the matrix, and in today‘s world that may happen rapidly. So it is vital that if you use the Boston Matrix for analysis you do it often, to account for changing life cycles and market circumstances. 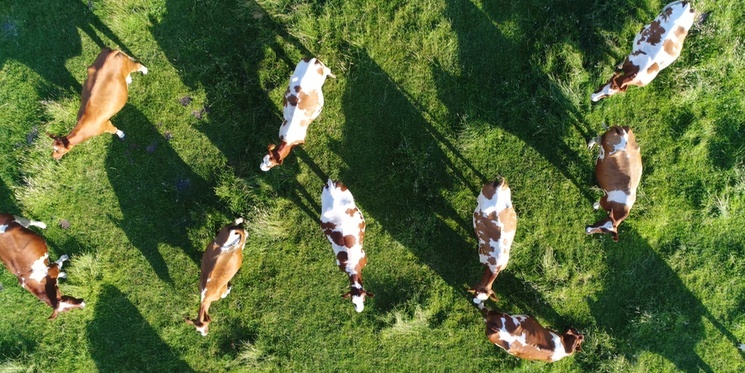 The enhancements are primarily to review the balance of matrix types in your portfolio – increasing the number of question marks and to review more often and to keep a tight control over the products or services in your portfolio; testing question marks quickly and economically, being efficient about how you milk your cows, and keeping dogs on a short leash. The concept of a portfolio of products or services is as relevant today as it has ever been – maybe more so. Having tools that can help you analyse and make decisions about investment and marketing is essential to creating and maintaining growth. There is no doubt that the Boston or Growth-Share matrix is one of the more useful tools you should consider for that role.